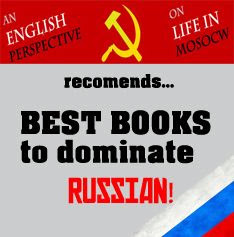 An english perspective on life in Moscow, Russia: What visa to get to visit Russia? What visa to get to visit Russia? If you have never been before and are from Europe, the mere idea of a visa causes stress, but relax, getting to Russia is actually not that difficult. Staying for a long period of time or getting the Russian equivalent of a green card is somewhat more complicated but probably not relevant to many of you reading this blog. In this post, ill break down the visa categories and tell you about how to apply for them. All the leg work should be done by a visa company and all you need to worry about is filling out a form and maybe getting an certificate proving you don't have aids (this is required for a stay longer than 3 months. The aids cert is just a signed piece of paper saying that your result is negative. Just ask the doctor who gave you the result to print and sign it. In England you can get one from any sexual health clinic or pay to have it done at a private clinic, not sure about America tho). Anyhow, let's get on with it. When you use a visa company (like anyvisa.co.uk) for example, you will always need to send them a Russian visa application form (all available on their site), your passport, some passport photographs, any other relevant visa support documents and their fee (which depends on the visa type and processing times). I always use the above-mentioned site and if you live in the UK I recommend you do the same or if you live in America you can use russia-visa.com. They are really helpful over the phone and you wont be left in the dark or feeling confused. Additionally, they will provide you with a business or tourist invitation (pictured below) if you need one. The cheapest of them all. You can get a tourist visa for up to 30 days and will do just fine for a quick visit to Russia. If you book a tour in Russia or cruise or something alike, the tourist agent will take care of this for you. If you want to come on an independent visit, you can, for example, apply to anyvisa and they will provide you with an invitation (at an extra cost of course) and take care of it all for you. It's standard practise for any of these visa 'middlemen' to offer invitations and this way you don't have to visit the Russian embassy (I think they changed the law so the embassy in London now only accepts visa applications via courier). Trust me, its better to pay an extra 50 quid and not deal with the insane embassy queue. This will last for three months and can be applied for along with the necessary invitation. Costs will be higher but this visa will suffice if you fancied staying for longer than a month. You would only need the multi entry exit visa if you were to be doing multiple trips or business back and forth. A way around the 90 days staying rule is to get 3-month business visas and to do a visa run every 3 months to a country outside of Russia where you can get a new visa. You should be aware that Russian consulates in most countries only give visas to the people who have a permit of residence in the country the consulate is located. So, say, if you are a US citizen and go on a visa run to Estonia, you might not get a visa there unless you have a residence permit in there. However, all EU citizens have the right to live in any EU country, so if you are from UK, then you can go anywhere in Baltics to renew your visa (god I love my UK passport). With your business visa application you'll need a letter from your employer (in my case, I just wrote one myself and invented a company name - nobody checks anything, so unleash your creative side). Also, if the visa is for more than 3 months, you'll need to get a negative aids test result, but hey, it's always nice to know you don't have aids, right? Along with the visa application and the above mentioned documents, you send it all to the visa company and they do the rest. They also have the latest info on the ever-changing regulations. As above, here are the requirments from anyvisa as per 09. The length and cost of the visa will depend on your course and chosen university. This is an easy one - you simply submit the documents requested of you to your study institution of choice. They do the rest. Your student visa can be prolonged if you decide to take more classes etc. Just find a suitable place to study, pick your program and let them do the rest for you. 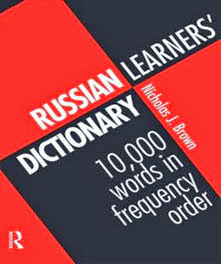 In Moscow, I studied at CIE or ЦМО. It was ok, nothing to write home about, but did get me to Russia. This, again, will be easy if you are offered a job. The company takes care of everything for you and all you need to do is what they tell you. The problem is getting offered a job. If you found an employer, they should get a work permit for you and write you an invitation letter. After you have these documents, you can apply for a work visa via a visa middleman. 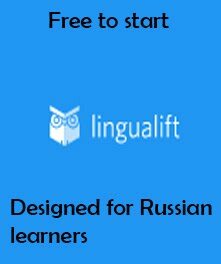 Some language schools might be willing to employ you, or even some larger companies that may need translators, for the most part, you'll need to do your job hunting in Russia. If you are here you can buy work visas from companies that only exist on paper that do this to make money. I detailed the process involved in this in another post. However, after having done this twice, I suggest that if you want to stay here for the long run, just get student visas and later think about getting a residence permit (you'll be lucky to make the quota for this without a wife tho). 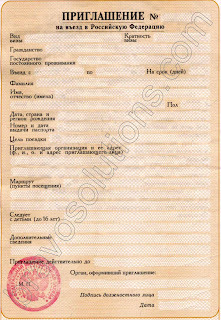 Buying work permits keeps you on птичьих правах, is expensive and takes forever. In short, don't be put off. Most of the leg work can be taken care of by visa companies and all you need do is decide which visa best suits your needs and contact, either a place to study in Russia or a visa company. You will have the most stress, longest wait and most money waisted if you decide to buy a work permit so I wouldn't advise it, even tho I do it myself, but then again, it's not an applicable option for a first time visit. One other note, no visa allows you to work apart from a work visa, but everyone does so don't worry about it. My next post will probably deal with working illegally here and English teaching.